Step 1. 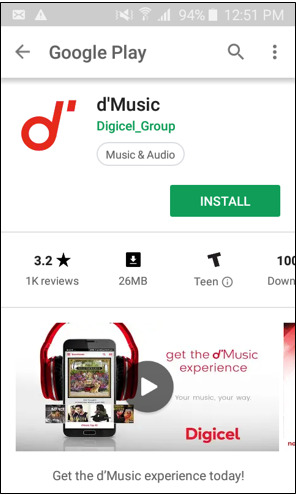 Select 'Install' after searching for the app. Step 2. 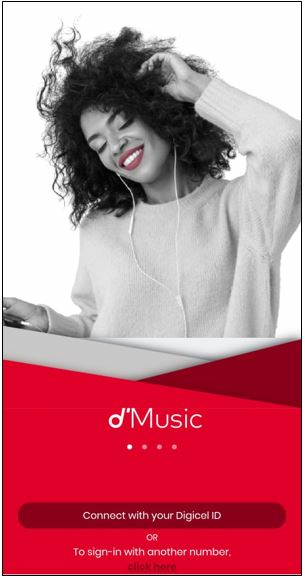 Open the app and select 'Connect using your Digicel ID' or you can select 'Register' if this is your first time. 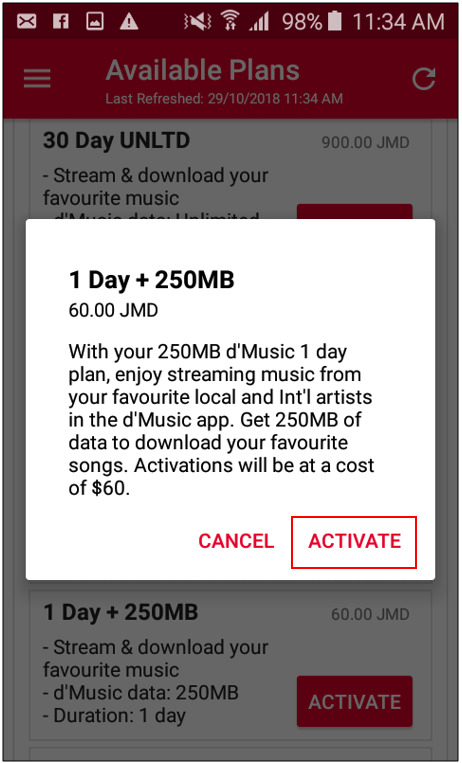 Activate your d'Music plan using the My Digicel App. Step 1. Select Menu option ( ) to the top left hand corner. 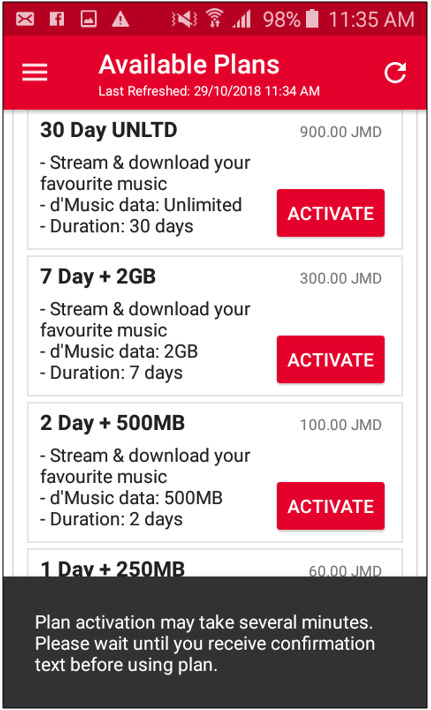 Select 'My Plans'. Step 2. 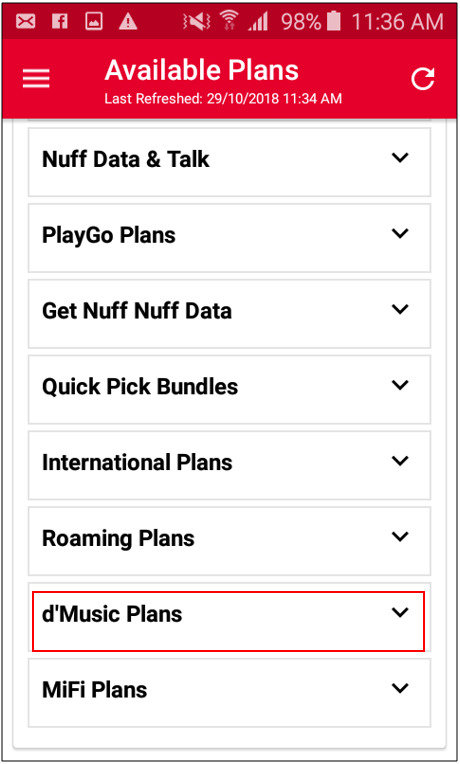 Select the 'Music Plans' option and choose desired plan. Step 5. Your plan is activating.